Disclosure: We were invited to a Marshalls Fitness Event to facilitate our post. All opinions are our own. When it comes to working out, there exists a myriad of options these days to suit every style and interest. From yoga to Zumba to cardio kickboxing to dance, everyone can find something right up their alley. New moms can even take advantage of baby boot camp for bonding time with their little ones while burning calories. Aqua-robics, anyone? 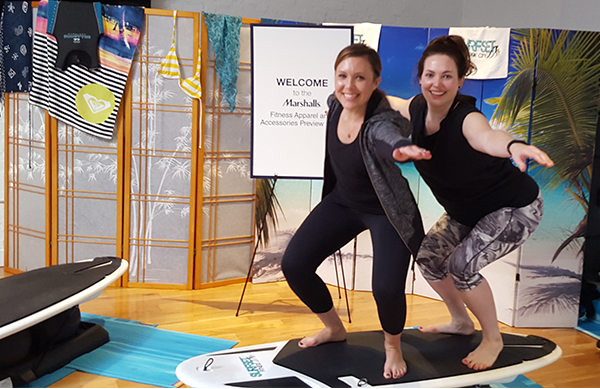 Marshalls invited us to a #MarshallsSurprise fitness event in New York City, where we were brought to a surprise location to preview the fitness apparel available at Marshalls stores. We were told to come prepared for a workout – color us intrigued from the get-go. 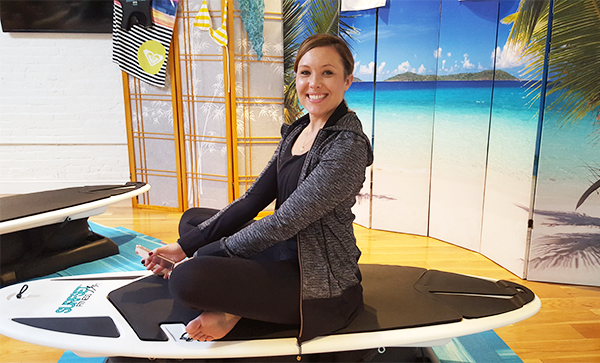 We could not have been more surprised – or delighted – when we walked into SURFSET NYC, a studio in Manhattan’s East Village where one can channel their inner surfer girl (or dude) while getting their workout on. The workout proved so unique! 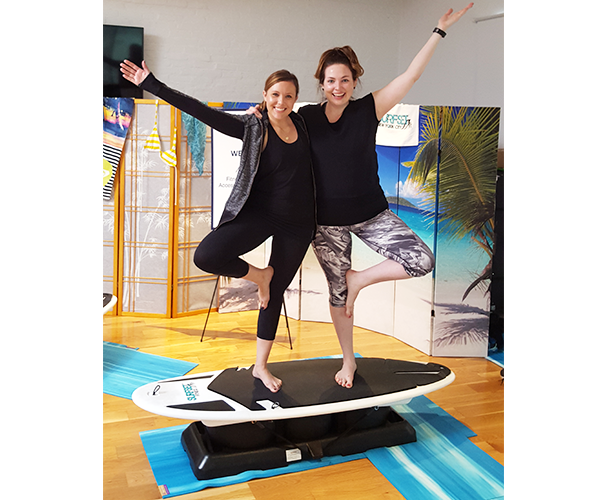 We were led through an hour of surf-inspired moves, from popping up on the boards, squatting while carving out the waves, planking on our surfboards, and kicking away (imagined) sharks! As the class progressed, we developed our balance more and more – breaking a sweat, and having so much fun while we did it! 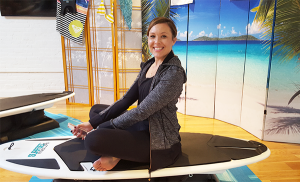 The studio projected surf videos throughout class – we often forgot it was a December day in Manhattan during our workout! Marshalls often pleasantly surprises us with its offerings. We always know that we’re in for a great price and value on the brands we love, but looking through the racks leaves us delighted with the array of styles, trends, and even designer brands that the store has to offer. For fitness, we loved perusing their well-known brands and finding New Balance Sports bras and Spalding leggings, and then discovering Hind tanks and 90 degree sweatshirts. Not sure which color to select? Marshalls and T.J.Maxx teamed up with Color Expert Kate Smith who has the following tip for what to wear when staying fit and healthy. Wearing red will make you more productive when doing an activity as it represents the color of physicality, which stimulates muscular movement and strength. Green will boost your mood and decrease your perception of the exertion level, making you more likely to exercise, and to exercise more vigorously. If you’re looking to kickstart your new year’s health resolution in style without breaking your resolution to save money, we recommend heading to your local Marshalls store!